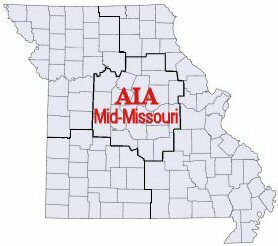 AIA Mid-Missouri is our local chapter of the American Institute of Architects. 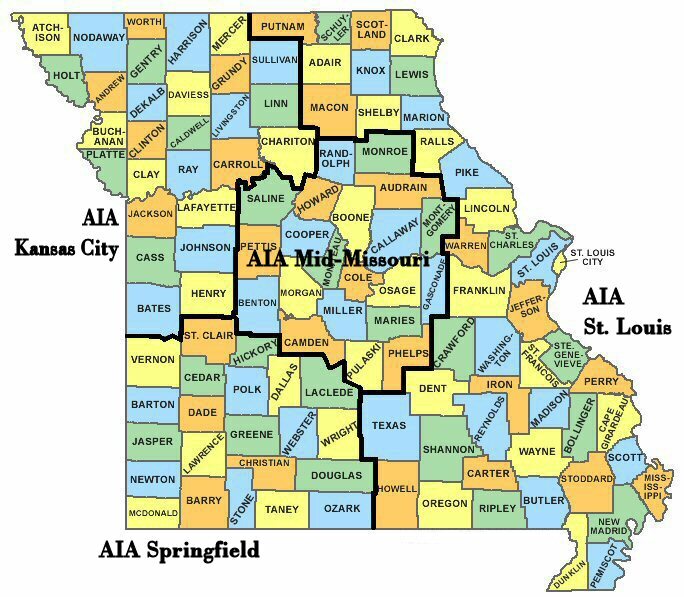 Covering a diverse and expansive geographic area, AIA Mid-Missouri is a community of architects coming together to accomplish things in our practices and in our communities that no single architect can do alone. Through seminars, committees, community service, and other Chapter programs, our members exchange professional experiences, knowledge and provide a local connection to others in and affiliated with the profession. We are a small component with 57 architects and 7 associate members. Your membership demonstrates your commitment to personal and professional development while giving the AIA an even stronger voice for the architectural profession. Chapter boundaries include 21 counties in central Missouri, from Randolph and Monroe counties in the north, to Pulaski and Phelps in the south, and from Montgomery and Gasconade counties in the east to Saline, Pettis and Benton in the west. This large area includes not only the cities of Columbia, Jefferson City and Sedalia, but also the Lake of the Ozarks area, Rolla, and Moberly.